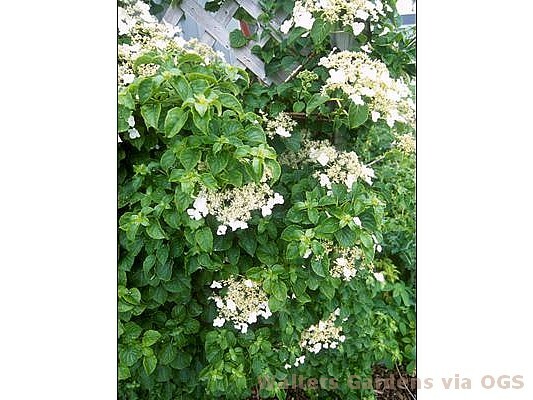 Product Information : Climbing Hydrangea is an elegant vine with glossy green leaves and lacy white flowers in June. Plant on a tall oak tree or on a westward brick wall. It will take your breath away.